I’m that person that bores easily which in effect makes me that person that loves change. 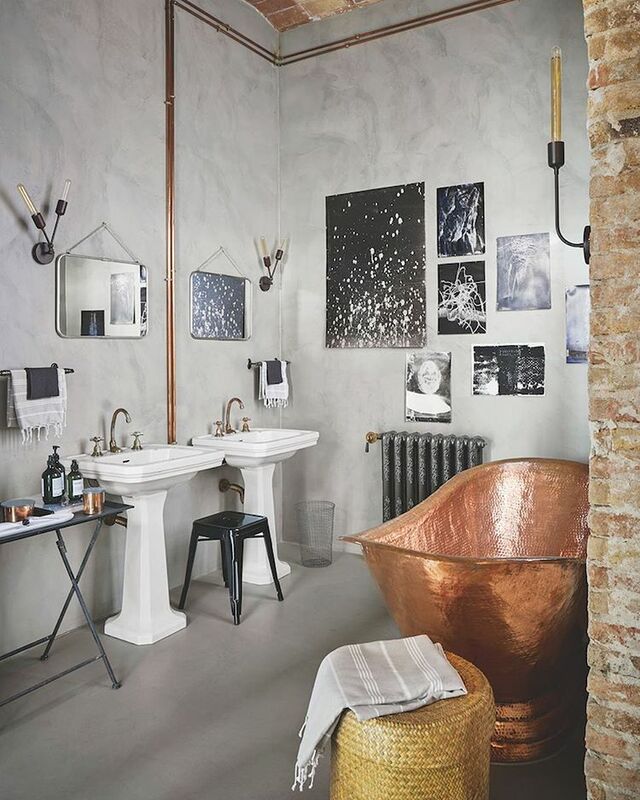 And for that reason, I relish in the excitement of a new year and the opportunity for change that comes with it, Interior Designer and TV personality, Carlene Duffy writes. When I’m away on my Christmas holiday break it gives me time away from the familiar and routine and I always come back inspired for new beginnings. This inspiration is always translated to my home, which acts as my creative laboratory to trial the new season developments in interiors. Here is a snapshot of what you can expect to see in home interior design trends in 2017. 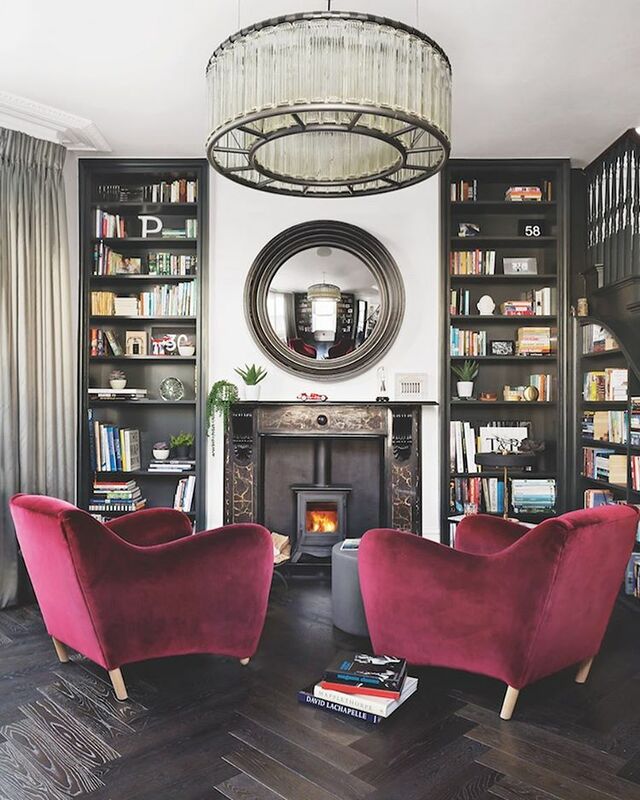 I don’t know about you but I’m happy to know that darker, warmer timbers will be making more of an appearance in interiors in 2017. It’s not that I’m opposed to blonde timbers, it’s just that I’m a bit tired of homes that are made up of all blonde timber furniture and the strong connection it has with Scandinavian-style homes, which has become hugely mass-produced of late. 2017 is going to mix things up as darker coloured timbers will begin to make their way into homes by means of furniture, flooring and wall coverings. It’s a nod to a time gone by and a more sophisticated time in design. The use of natural materials in the home such as marble, timber and rattan, will remain strong for their timelessness, quality and sense of warmth. 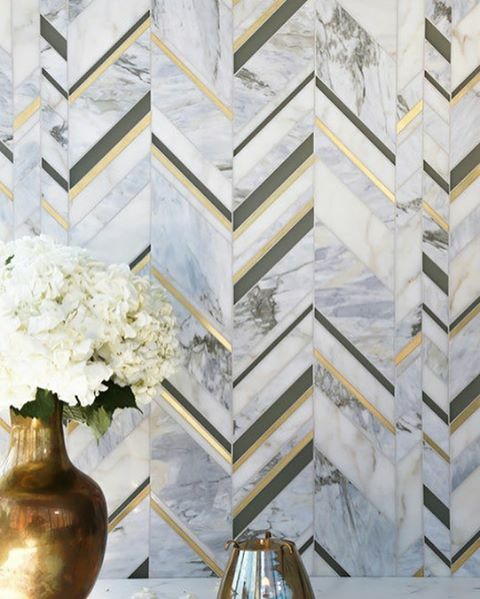 Marble has made a big mark on interiors in recent years, not only in benchtops but in coffee tables, lighting, small décor items, and tiles. What we’ll be seeing is its use with more confidence. 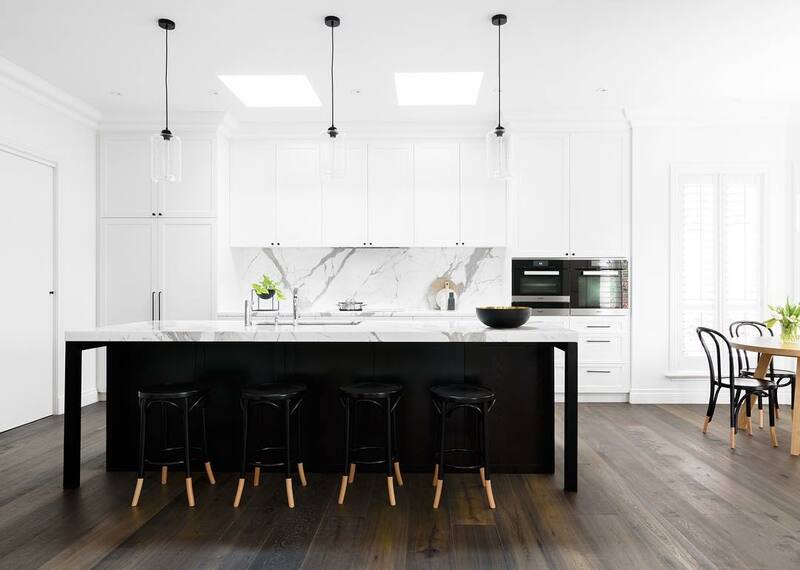 Where white marbles have been popular in the past, mid to dark grey tones of marble will make their mark on kitchen counters and bathrooms, and floor and wall surfaces and expect to see terrazzo in floors and countertops increase in popularity too. Where once homeowners would swing towards either a classical design or a modern interior, this year we will see the two go hand in hand. Our own home is undergoing a renovation and whilst the bones of the house incline towards a Californian, mid-century modern aesthetic, the interior is being softened with vertical wall panelling, high skirting boards, and shaker style cabinetry. In general, you’ll also be seeing greater use of wall mouldings, door detail and a greater effort to restore original features of classical homes, including ornate ceilings and ceiling roses etc. 2017 will be a year of strong, confident interiors that make a statement. We will see homes incorporating vintage furniture for its history and uniqueness. Their flaws will be celebrated rather than corrected or covered up. 2017 interiors will be about making a mark with the unexpected and pushing boundaries and for this reason alone, it's going to be a great year. Thinking of a career as an Interior Designer? Get the career advice you need from Australia's leading Interior Design experts.